Hildebrand's seeming defeat did not halt the work of reform. His immediate successors continued in the path which he had followed. This was not without opposition. Henry IV insisted on controlling the bishops until his forced abdication, in 1105, Some of the bishops came out for the imperial position. From time to time rival Popes were set up. The son of Henry IV continued his father's struggle until what proved to be a working compromise was reached, in 1122, a generation after the death of Hildebrand, in the Concordat of Worms, between Henry V and Pope Calixtus II. By that agreement elections of bishops and abbots in Germany were to take place in the presence of the Emperor, but according to church law and without simony or violence. In case of dispute the Emperor was to give his judgement after consultation with the metropolitan and other bishops of the ecclesiastical province. Nothing was said about the imperial presence being necessary at elections in Italy. Investiture with ring and staff, the symbols of spiritual authority, was relinquished by the Emperor to the Church. In return, the Pope agreed that investiture with the temporal possessions attached to the office was to be by the Emperor and should carry with it such obligations to the Emperor as legally went with it. The Concordat of Worms did not end the conflict between Popes and Emperors. We shall meet it again later in the twelfth century. In spite of the chronic friction between the two centralizing powers of Western Europe, the Pope and the Emperor, Roman Pontiffs, inspired by the purpose of raising the moral and spiritual level of all Christendom, continued to labour to make the dream a reality. This was true of Pope Urban II, who came to the Papal throne in 1088, only three years after the death of Hildebrand, and held it until 1099. A scion of a noble family, he had been educated under the direction of Bruno, the founder of the Carthusians, had been a monk at Cluny, and had been made Cardinal Bishop of Ostia by Gregory VII. Deeply religious, thoroughly committed to reform, experienced in administration, he was fully as courageous as Gregory VII and as convinced of the right of the See of Peter to supremacy, but was less tactless. Nourished as he had been in the Cluny tradition, he vigorously and persistently fought the purchase and sale of church offices, condemned admitting to major orders any who were not celibates, and opposed the lay investiture of church offices. By extending the Papal control over monasteries he augmented the power of the Holy See as against the bishops and lay princes. He excommunicated King Philip I of France for putting aside his wife to marry the wife of one of his vassals. In his struggle with Henry IV inherited from Gregory VII, he excommunicated the Emperor. In initiating the First Crusade as an enterprise of all Western Christendom he added to the prestige of the Papacy. The Council of Clermont, held in 1095, over which Urban II presided, and which was the scene of the launching of the Crusade, also took other important actions. It renewed earlier Papal decrees against simony, nicolaitanism, and lay investiture. It ordered deposed all non-celibate priests, deacons, and sub-deacons. No fees were to be asked for confirmation, extreme unction, or burials. No one was to receive any ecclesiastical office from a layman. No bishop or other cleric was to take a feudal oath of loyalty to a king or any other lay lord. We must pause to remark that one result of the First Crusade and its successors was the enhancement of the prestige and power of the Popes. The Crusades were begun by the Papacy. No Crusade was valid without Papal endorsement. The Crusades were an additional and important channel through which the Popes asserted, and often effectively, their leadership of Christendom. One other action of the Council of Clermont requires special note, not because it was new but because it is illustrative of a persistent attempt by the Church to bring society to a closer approximation to Christian standards. That was to enforce the Peace of God. The Peace of God and the Truce of God were efforts by the ecclesiastical authorities to reduce the destructiveness of the wars between feudal lords which were chronic during these centuries. The Peace of God had been first attempted towards the end of the tenth century as a local project in France. At the outset it sought to exempt from attack by the combatants all persons and places consecrated by the Church — clergy, monks, virgins, churches, and monasteries — and to stop fighting on Sundays. Exemption was later also claimed for all those protected by the Church, such as the poor, pilgrims, crusaders, and merchants on their journeys. The Peace of God spread and had the endorsement of many synods and bishops. To enforce it numbers of dioceses formed what were known as confederations of peace. 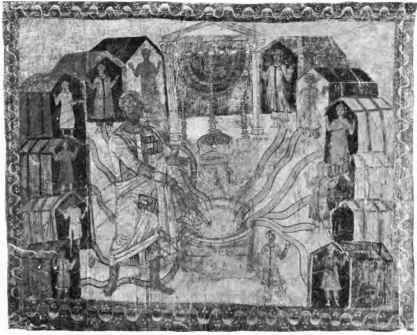 The Truce of God dated from early in the eleventh century. At first it forbade fighting from Saturday night to Monday morning. Later it was extended to the days of the week connected with central events in the life of Christ, to Thursday as ascension day, to Friday as the day of the crucifixion, to Saturday, when Christ's body lay in the tomb, and to Advent and Lent. The penalty for violation of the Truce of God was excommunication. Like the Peace of God, the Truce of God spread from France to Germany and Italy. Never fully enforced, it exercised some restraint upon the disorders of the times. In an attempt to curb war, the Church also endeavoured to eliminate jousts and tournaments, since these gave popularity to private feuds and the shedding of blood. For instance, in 1139 the Second Lateran Council (called the tenth ecumenical council by the Western Church) forbade them.